Sorry to kind of bring you bad news, but car care knows no break, especially between beginning of Ramadan and Eid al Adha in Dubai and even later in the year. Seasonal dirt, sand and dust does more damage to your car than you possibly think of and the warmer months prove to introduce some challenges to personal transportation and maintenance but going for a top quality and professional car wash service near you in Dubai will definitely offer worry-less summer. You can check sites such as help4u.today to find really practical guidelines and examples on how to properly take care of your car in every aspect and season. Between cruising down those dusty lanes, driving around pets, chaotic toddlers, and teenagers with their murky sports gear or even heading off to a family vacation all packed up even with the smallest things that you may (but certainly won’t) need, your car definitely takes a beating. Therefore, since you’re reading this article, there’s a pretty decent chance you care about your car and how it performs. Starting from the fact that each of us, puts a lot of effort into looking good, so it’s definitely no surprise that we all want our ride to look good, as well. There are many ways to take care or our vehicle both when it comes to the exterior and the interior, and probably the most common answer that we will get is to wash it thoroughly and with a great dedication to details. Keeping the outside and the inside of your car in order any time of the year is tough. 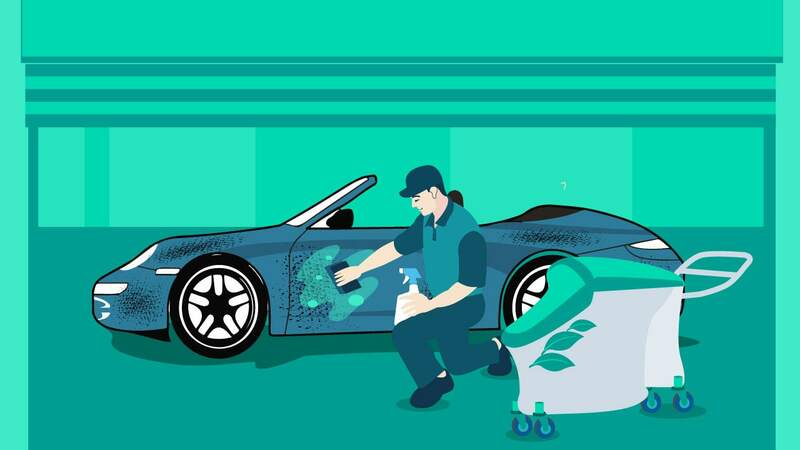 However, summer in Dubai is unique (to say the least) and proper car care doesn’t only include washing but a complete check-up and maintenance service that will get it going for the sandy rolling down Sheikh Zayed Road. The best way to do this is a good, thorough check up, regular maintenance and professional car wash with lots of attention to detail. Basically, we are literally never on a vacation when it comes to car care in Dubai. It requires our attention all year round and our persistence and dedication as the seasons change. When the warmer weather starts dominating, we need to protect our ride from heat instead of leaving it disposed to damages inflicted from the scorching sun. Professional summer car care should always be our priority both when it comes to cleaning but to maintenance as well. With temps in Dubai averaging in 40+ C, summer drives can easily turn out to be the worst nightmare if your AC unit stops working. There are many car centres which offer a whole package of services including washing, maintenance and spare parts. Read more on help4u.today for credible and practical guidelines on what is the best option for your case. The boiling temperature outside further heats your car’s engine too. This leads to be the major reason for car breakdown during summers. Therefore, coolant level, hose’s connection and engine belt check-ups are well worth the extra mile. In order to maintain good performance of your car never leave your car fluid-thirsty. Adjust your fuel-change frequency according to your servicing schedule and the mileage covered. The dashboard is continuously exposed to damaging UV rays even when you are not driving. It is the time in fact when most dashboards start fading and lose the original shine. One of the most common reasons of road stops is the rising number of tire-blowouts due to high temperatures. Monitoring pressure levels should be done regularly using your vehicle’s on-board monitoring system or manually. Maintain your tire pressure levels in check and make sure you are following a proper tire-rotating schedule to cope-up with the wear and tear of steaming roads. Staying cool is paramount, not only for us but even more importantly for our cars. Be sure to constantly observe the level of coolant fluid, state of the hoses and the coolant reservoir’s condition. There belt’s condition can deteriorate over time, become loose, or even start to squeal, and sometimes it breaks for no apparent reason. Keep it in proper condition and at the right tension. You can check experience by other members on sites like help4u.today for more practical insights and comments. Appropriate wheel alignment is important for safety and correct handling of your vehicle. If you notice the car is pulling to one side or doesn’t drive in a straight with the wheel positioned centrally, go and have the alignment checked. Always check the brakes, plates, discs and the brakes fluid to ensure your safety before loading up the car for that summer road trip or when the temperatures get roaringly high. 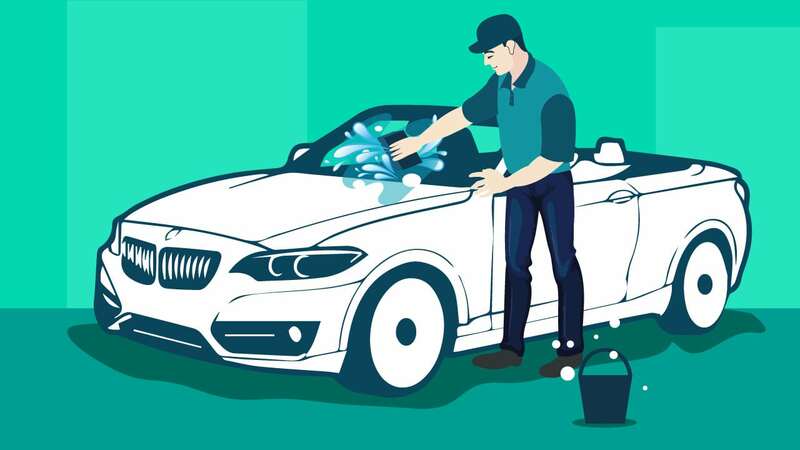 Finally, we get there – start with the essentials first by giving your car a good wash to rid it of the residue grime. 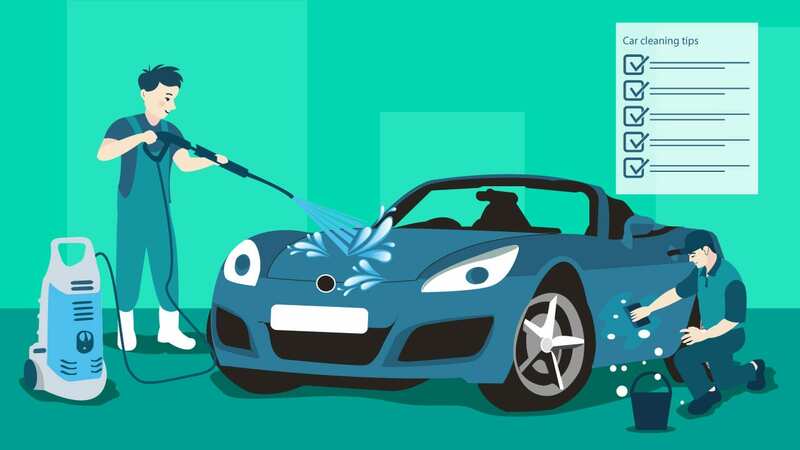 Some car washing chemicals can be irritating to skin and to the environment, so try and look for professional car wash services near you in Dubai which are using eco-friendly ones, if you’re concerned about your impact on the environment. Additionally, the sun’s UV rays can also early age your paintwork. Prolonged exposure to sunlight can cause your four-wheel buddy’s bodywork to oxidise and fade over time. Therefore, do regular waxing as the most effective way to protect that showroom shine. Always vacuum and steam clean your car when getting it ready for the summer. Using the same vacuum as the one you use in your house won’t do it it when it comes to your car. You’ll need a stronger piece of equipment with a more flexible hose and various necessary attachments for those hard-to-reach places. Giving the family ride a good clean inside and outside will make it a more pleasant and cosy place to be on those long drives in the heat. Therefore, start by getting rid of any trash and removing unneeded objects, stow away stuff in side pockets or compartments, then use an eco-friendly mild cleaning spray and a microfiber cloth (they work the best) to remove dirt, dust, sand and grime off the dash and the leather or plastic surfaces. In addition to vacuuming, another practical idea is getting a set of heavy-duty floor mats which not only help catch any debris from your shoes, but in the case of a liquid spill, it’s much easier to wash them off. Off the start the rinse? Then move into the shade first. Never wash or wax a car when under direct sunlight, or if the paintwork and the car surface is hot to the touch. You don’t want bright sun to soften the paint and make it more vulnerable to scratching. Cleaning tools such as wash mitts, sponges, and towels should be made of soft materials. Use a dedicated car-wash soap designed for use on automotive paint. Use the two-bucket solution. First, fill a bucket with plenty of water, and apply the suds with a clean natural sponge, microfiber or a lamb's-wool mitt. Start from the top and work your way down. Use a second bucket to clean the sponge and to rinse away the grunge of the mitt. Change the water when it becomes dirty and use a separate sponge for the tires and wheel rims. 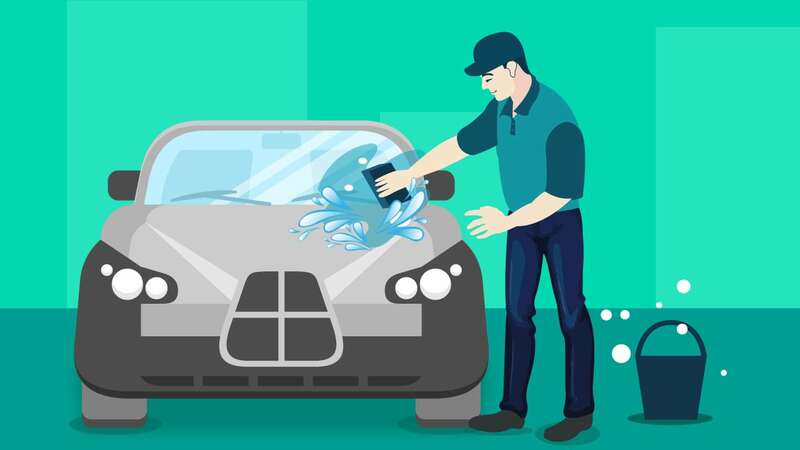 Use the right amount of water because if you use less water the soap can't work like it should and will fail before it can loosen and break up all the dirt on your car. Never air dry the car when done, instead use a soft, clean towel to dry. This summer essential is great for protecting your paintwork and it can provide a good shine and additional protection for the paint. Car waxes are commonly used in three forms liquid, paste, and spray. Overall, paste waxes are easier to use than liquid waxes, liquid waxes offer the best cleaning and spray waxes were easiest to use and left the fewest stains on plastic parts. People often say that having a car is like having another member of family, both attention and investment-wise. So, as with every family members, cars deserve the necessary attention and protection. Keep them in good shape and they will serve you better and longer. If you are not sure what to do or where to go, feel free to check help4u.today for more info and credible practical information from other owners near you in Dubai.